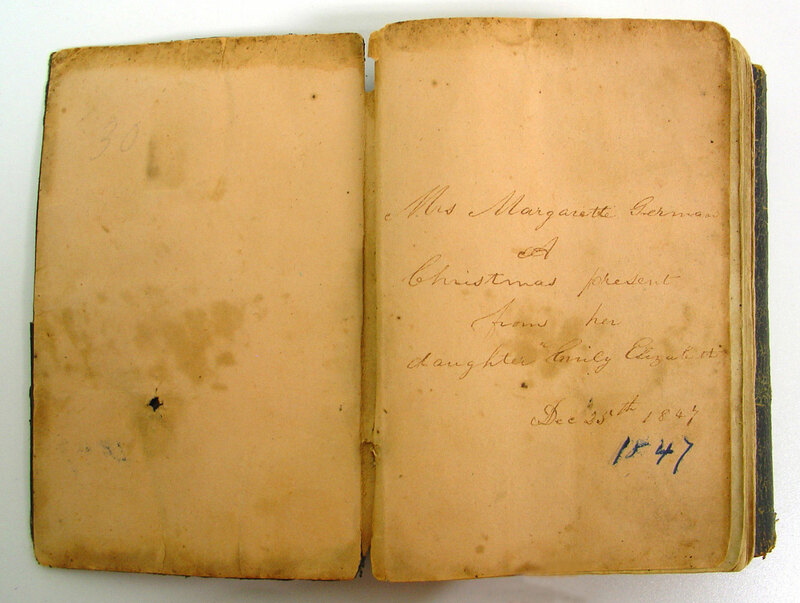 Great-aunt Louisa Pickering gave my sister and I a New Testament Bible that Emily Elizabeth German DeMar gave to her mother Margarette Sterling German on December 12, 1847. 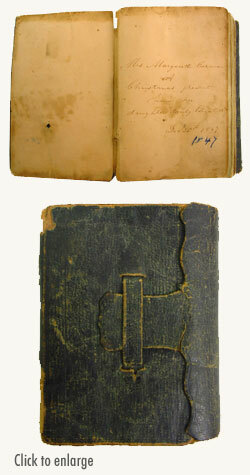 She also passed on to us a book of poems that Emily German gave to her granddaughter Elizabeth Catherine Pickering [Louisa's sister] in 1897. 1.7.4 John Lewis DeMar, Jr.